Starwood Hotels & Resorts Worldwide have announced they are planning to strengthen their position as a leading international hotel operator in Africa by increasing its portfolio by nearly 30% with 10 new hotels set to open over the next three years, adding more than 4,200 guest rooms to the continent and creating thousands of local employment opportunities. Starwood already have 38 hotels, representing more than 10,000 rooms open in Africa and see the latest plans of development as a way to emphasize the importance of the region as one of the world’s fastest-growing hotel and travel markets. With more than 70% of the world’s economic growth coming from fast-growing markets over the next few years, Starwood is focused on expansion in developing and established African countries such as Nigeria, Algeria, Egypt and South Africa. The company is also looking to enter key emerging countries including Angola, the Ivory Coast and Ghana. As part of this strategy, Starwood is investing in development, sales and the expansion of its Starwood Preferred Guest (SPG) program in Africa and by the end of this year, Starwood will double its dedicated development team focused on growth in Africa. The debut of Starwood’s ultra-luxury St. Regis Hotels & Resorts brand in the Africa/Indian Ocean region with the opening of The St. Regis Mauritius Resort & Spa,which opened earlier this month. 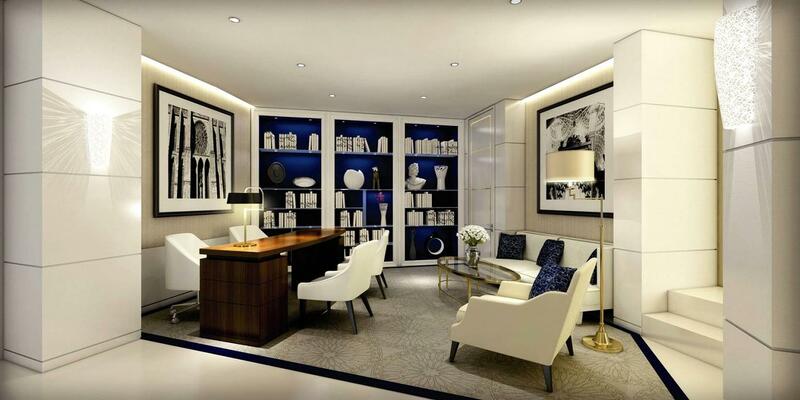 This will be followed by the debut of the St. Regis brand in Egypt with The St. Regis Cairo, scheduled to open in 2014. 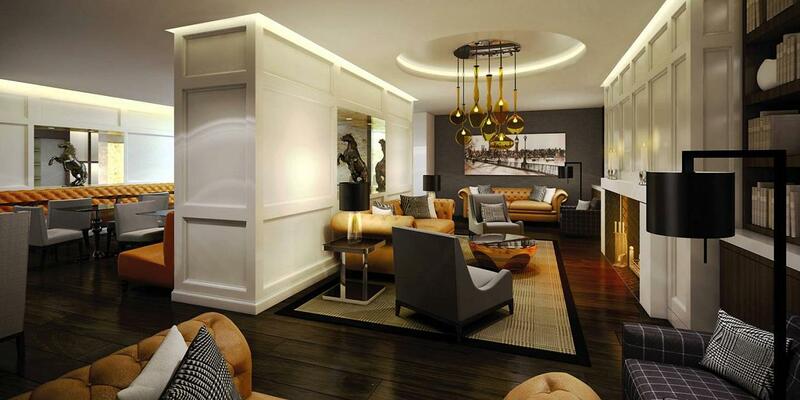 A new hotel under The Luxury Collection brand in Lagos, marking the introduction of the brand into Nigeria. Starwood currently operates five hotels in the country with three additional hotels slated to open by 2015, making Nigeria Starwood’s largest growth market on the African continent. Further expansion of the company’s well-established Sheraton portfolio in Africa with the opening of three new Sheraton hotels in Dakar (Senegal), Annaba (Algeria) and Tripoli (Libya). Three new Four Points by Sheraton including two in Nigeria and one hotel in Oran, Algeria. A new Le Méridien hotel in Cairo. The acquisition of Le Méridien in 2005 significantly expanded Starwood’s presence in Africa. In addition to the new hotels in the pipeline, Starwood will re-open three of its African hotels in the next 12 months: The Grand Mauritian, which will re-open next year after a major renovation; the Sheraton Cairo following a major renovation as part of Sheraton’s global brand enhancement strategy; and the Four Points by Sheraton Tripoli, which closed last year due to political conflict in Libya. As part of the Starwood’s global citizenship initiative, they have comitted their on-going guest fundraising efforts for UNICEF through the Check-Out-for-Children program, which launched in 1995. Last year, the Check Out for Children program celebrated a remarkable milestone with US$25 million raised through guest donations for children since the launch of the program. In 2011, Starwood and UNICEF joined forces to put a focus on education through UNICEF’s “Schools for Africa” program, supporting quality primary education for more than eight million vulnerable children across 11 Sub-Saharan African countries (Angola, Ethiopia, Malawi, Mali, Burkina Faso, Niger, South Africa, Madagascar, Mozambique, Rwanda and Zimbabwe). “We believe that every child has the right to go to school. That is why, together with UNICEF, we have chosen to focus on providing children in need with access to education. We are convinced that for these children education is the door that opens opportunities and will enable them to become fully independent members of society,” commented Roeland Vos, President of Starwood Hotels & Resorts for Europe, Africa & Middle East. Underscoring the importance of the region as one of Starwood’s fastest-growing hotel and travel markets, van Paasschen and seven members of Starwood’s senior executive team are visiting Africa this week. On the trip, Starwood executives will meet with hotel owners, customers, government officials and investors in Nigeria, Gabon and Angola with the goal to further understand, appreciate and ultimately leverage different cultural perspectives and approaches to business. In Angola, they will visit a UNICEF education project to see first-hand how the funds raised through Starwood’s Check-Out-For-Children program are helping UNICEF to provide these children with a brighter future in life. That’s right, my inbox seems to be awash with news from Accor opening new properties, particularly in London. This one’s certainly worth a mention and consists of a converted RIBA Bronze awarded former police building having been been modelled and opened as the Mercure London Greenwich Hotel, described by the brand as ‘contemporary design’ and ’boutique’. The hotel joins the rapidly expanding portfolio of Mercure hotels in the UK which now stands at 75 hotels and is an example of Mercure’s ambition to further develop in key cities and London. Recently renovated, the 145 room hotel has transformed the 1930’s ‘Police House’ with an additional two storey extension at roof level with ‘floor to ceiling’ glass rooms that provide far-reaching views over the city. The stunning penthouse suite occupies the 9th floor of the extension, offering elegant and spacious accommodation in addition to the vista of the London skyline. The hotel is situated within a conservation area in Greenwich, providing the perfect location for enjoying its bustling market and shops. A stone’s throw from world famous tourist attractions, including the Cutty Sark, O2 Arena and Skyline, the hotel is ideally positioned for those looking to escape on weekend breaks. The bar and restaurant, hosted in the former shooting range of the police building, provide a stylish retreat to recline in after a busy day’s sightseeing. Equally, the hotel’s proximity to the business hub of Canary Wharf and close transport links to London City Airport make it a convenient choice for business guests, with private meeting room, a fully equipped gym and free WiFi available to all guests plus a world of team building activities within walking distance. You may have heard that InterContinental are due to open a brand new property in London, and it’s causing quite a buzz in the London hotel world. And why? Because this is the first InterContinental hotel to open for 36 years. I was lucky enough to get a sneak preview of this newly designed and renovated InterContinental London Westminster, due to open in a matter of weeks, that will home some 256 guest rooms, including 44 luxurious suites and penthouse. It was really interesting to get this behind the scenes insight into the hotel and see all the hard work going on to get ready for opening. Even with much furniture and fittings missing, you can see that this is going to be a very special property. Even without considering the building and hotel itself, the location is of greatest importance here, located on the site of a former Government Building, which played host amongst others to the Treasury Solicitor and The Brewers’ Society, slap bang in Westminster. With such a location, you can already guess the cliental that may frequent the hotel and I’m sure this is a reason InterContinental have incorporated a selection of exclusive meeting and event spaces that reflect exatly the heritage and political surroundings of the hotel. Set across the lower ground level, the hotel’s meetings rooms, which can be transformed into a maximum of seven different spaces, are aptly named after the most celebrated political residences. Chevening and Dorneywood will cater for up to 75 and 55 respectively in various seating configurations, while Chequers will be a fixed boardroom, seating 10 and offering the latest in state-of-the-art technology. The Whitehall Suite which can be adapted from 60 – 254 seating to a 300 person standing reception can also be divided to create four individual meeting spaces each hosting up to 86 people. Blue Boar Smokehouse & Bar is at the heart of the hotel’s food and beverage offering – and even unfinished when I had a preview today, I already want to come back and experience the wonderful smokey offerings. With a choice of two private dining rooms seating 12, which can be combined to accommodate 24, delegates will be treated to a menu which takes inspiration from the best American pit masters but with a distinctly British influence like the Pulled Rare Breed Pork Collar or the Treacle Marinated, 12 Hour Roasted Beef Brisket which revolves around authentic smoke house techniques. On-site charcoal and smoking ovens will produce rustic dishes served in a modern way; classic comfort food using great British produce. My visit today came amongst the final throws of preparations to complete the outstanding work and get the hotel opened, but even without the fine artworks, carpets and finishing touches, this hotel already has a special feel. What struck me, was that if I had no idea which hotel chain owned the hotel, just from walking in the lobby and public areas, I would have been able to guess it was InterContinental. I can’t put my finger on it, but this hotel has a very InterContinental feel and I’m excited to re-visit and see the finished article very soon. 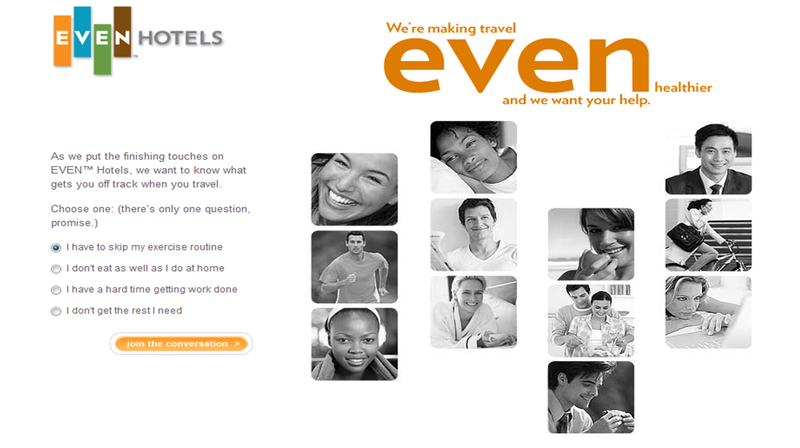 More news from hotel giants InterContinental Hotels Group (IHG) this week (my, haven’t they been busy?) 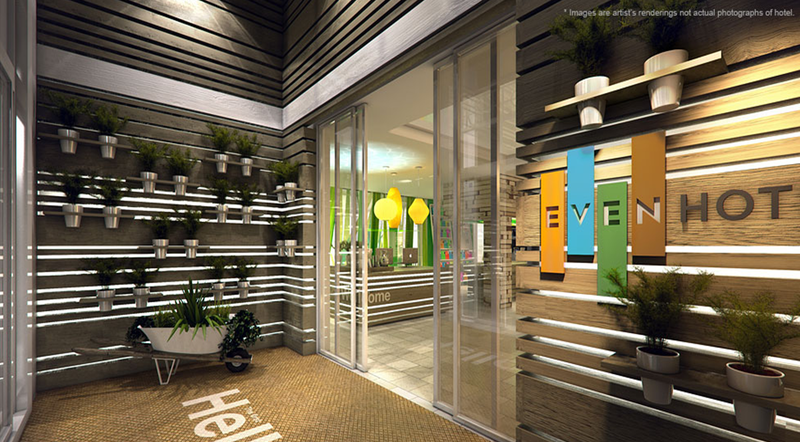 as they announce the signing of the first EVEN Hotels property which will be located in New York City. The IHG managed hotel will be located at 219 E 44th Street in the heart of midtown Manhattan, and will be a flagship property for the new brand. A new build hotel, scheduled for opening in late 2014, will feature 230 bedrooms across 23 floors, dedicated meeting areas, and indoor and outdoor exercise and eating spaces all spread over 87,000 square feet. The EVEN Hotels brand comprises four priority areas: eat, work, exercise and rest – sound familiar New York? You can see why New York was picked as a great first city for this concept. IHG clearly have this in mind and have pointed out that New York City was ranked one of the top 50 healthiest cities in the U.S. in 2012, with more than 1,700 parks, playgrounds, and recreation facilities across the five boroughs providing multiple opportunities for exercise. New York City has also led the charge on changes aimed at a healthier city experience including: banning the sale of sugary drinks over 16 oz., posting all calorie counts on menus and menu boards and banning the use of artificial trans-fats in foods. IHG are claiming “another industry first for this kind of hotel and say they are meeting a large and growing customer demand for a healthier travel experience. EVEN Hotels uniquely provides solutions for all aspects of travellers wellness needs in the areas of food, work, exercise and rest – all under one roof. Joining IHG’s existing seven hotel brands, EVEN Hotels will be a key pillar in IHG’s portfolio of preferred brands and in the long term, a key driver in market share growth in the U.S.
IHG expects to sign 100 EVEN Hotels in the U.S. in the next 5 years under managed and franchised agreements in key markets including New York, Washington D.C. and San Francisco. More new’s from Accor today, as they announce four British hotels are set to open their doors as part of the Mercure portfolio within the next four months, further expanding the growing Mercure hotel collection and increasing the brand’s footprint to 75 hotels in the UK. 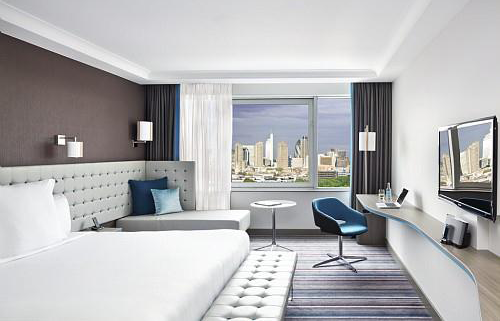 Mercure, Accor’s mid-scale hotel brand. will introduce these new hotels in London, Scotland, Milton Keynes and Darlington, with these latest franchise agreements adding some 394 rooms to the Mercure network and creating over 120 jobs across the regions. First to open is the Mercure Darlington Kings Hotel, which launched last week, followed closely by the Mercure London Greenwich Hotel and the Mercure Eddleston Barony Castle Hotel and Spa in Scotland later this month (October). The Mercure Milton Keynes Abbey Hill will launch in January 2013. Originally built as a coaching inn in the early 1600s and rebuilt in 1893, the King’s Head Hotel underwent a major £8 million refurbishment programme after a blaze caused severe damage to the hotel in 2008. Now complete, the refurbished hotel located in the heart of the historic market town features 83 bedrooms, conference and banqueting suites, à la carte restaurant – Carriages No. One – and cocktail bar, Carriages. The re-opening of the renowned hotel will create approximately 50 jobs in the region. Following a major conversion of the 1930’s Maurice Drummond House in Greenwich, the Mercure London Greenwich hotel will offer 145 bedrooms over 10 storeys. The hotel conversion project has witnessed an additional two storeys added at roof level and complete internal refurbishment, along with minor landscaping. The original building won RIBA’s London Architectural Medal in 1946 and the independently owned hotel offers exceptional views of London. The opening of the hotel will create up to 70 jobs in the local area. With a rich history, the 4* Barony Castle Hotel and Spa in Eddleston, 17 miles south of Edinburgh, is set to become the first castle within the Mercure portfolio. Featuring 78 bedrooms, the hotel has undergone a £400,000 refurbishment programme, transforming it from a three start to a four star Mercure hotel, since signing the Accor franchise agreement. The hotel was recently awarded The Great Polish Map of Scotland listed status by Historic Scotland. The Map represents an important part of Barony Castle’s history, which saw Barony Castle and grounds used by Polish military forces based in Scotland during the Second World War. In addition, the Abbey Hill Hotel in Milton Keynes, which is one of the first purpose-built hotels in Milton Keynes, is undergoing a full transformation prior to its re-launch in January 2013. Once complete, the city-centre hotel will boast 88 bedrooms, state-of-the-art meeting rooms and newly designed and furnished public spaces. What can we say, congratulations Accor! In such hard times and tough trading conditions for all hoteliers, it’s encouraging to see so many brands expanding. As you may know from my very first Twitter Q&A a few weeks ago, I named Accor as one of my favourite hotel chains so I was particularly pleased to hear this news.